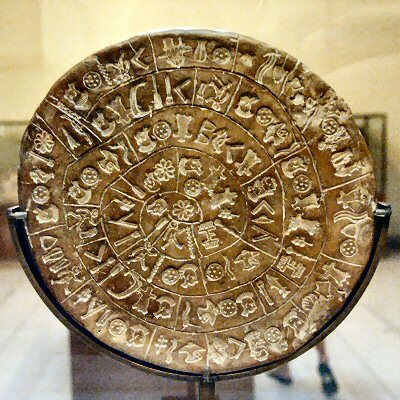 The Phaistos Disk is a disk of fired clay from the Minoan palace of Phaistoson, on the island of Crete. It was discovered in 1908 and it possibly dates to the middle or late Minoan Bronze Age. 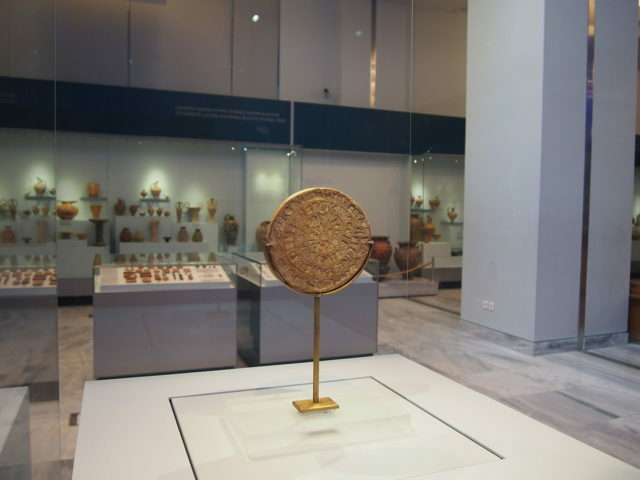 This unique archaeological find remains an enigma; its purpose and meaning and even its original geographical place of manufacture remain disputed, making it one of the most famous mysteries of archaeology. 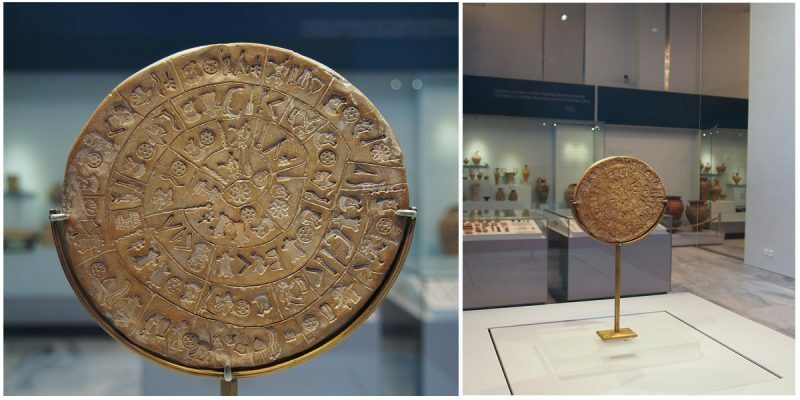 The disk is now generally accepted as Cretan in origin and therefore is probably a representation of the Minoan language in use during the period, which leads scholars to date the disk from 1850 to 1550 BCE. 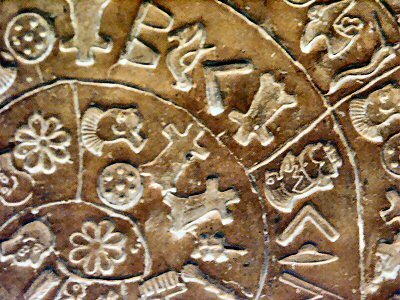 The disk is about 15 cm in diameter and covered on both sides with a spiral of stamped symbols. A sign depicts a helmet with crest, which was used later by Philistines. Another sign depicts a structure similar to sarcophagus used by the Lycians of Asia Minor. According to Ancient Scripts, because there is essentially no variation between different copies of the same symbol, it is very likely that stamps were used to create these highly detailed signs. 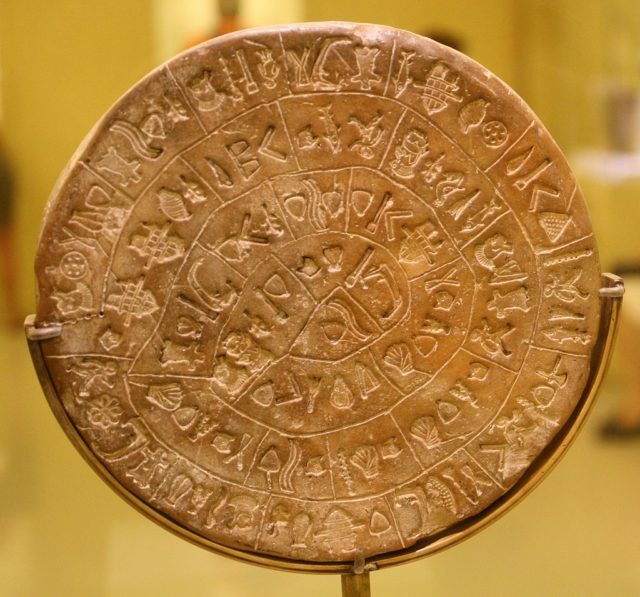 While not really a printed work, some have labeled the Phaistos Disk as the earliest typewritten work. There are 242 tokens on the disk, comprising 45 distinct signs. Many of these 45 signs represent easily identifiable every-day things. The 45 symbols were numbered by Arthur Evans from 01 to 45, and this numbering has become the conventional reference used by most researchers. It is commonly accepted that this disk can be read spirally, from the rim inwards. 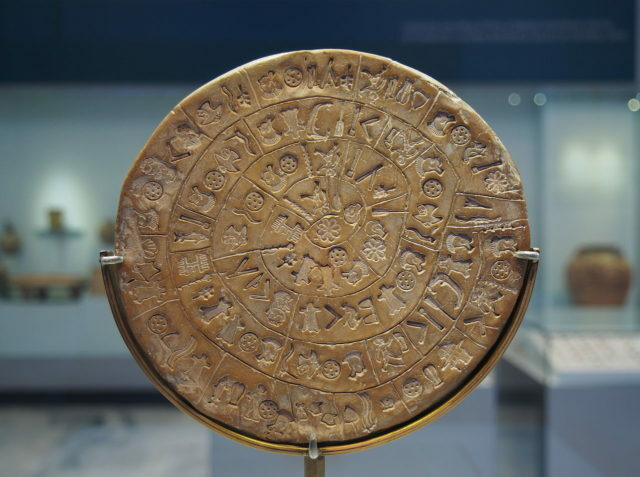 There are a lot of theories about the meaning of the Phaistos Disk, some believe that it was a Token used in healing rituals or other ceremonies in ancient times, others believe it was a legal document or the story of the journey of humanity. 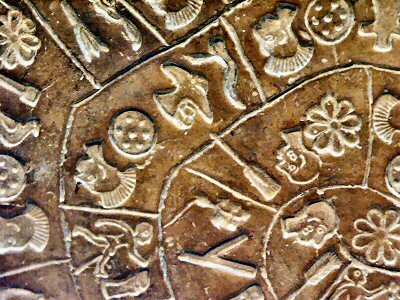 A few scholars believe that the disk is a forgery or a hoax although is generally accepted as authentic by archaeologists.